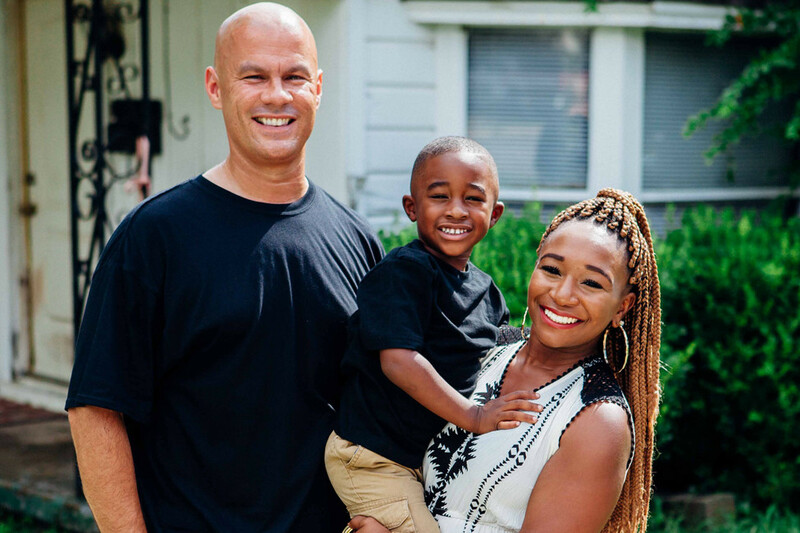 For Officer Tommy Norman, 43, defying the racial tensions that have fed conflict between the police and the public has been as natural as showing love to his own big, diverse family. Police Officer Tommy Norman with his girlfriend, Rosalynd Guiden, and her son Riley Hamilton, 3, in front of Norman’s boyhood home in the North Little Rock neighborhood of Levy. Tommy Norman was on patrol as a North Little Rock police officer when a group of kids saw his cruiser and ran inside an apartment. He refused to just keep driving. It was an example in community bridge-building for Norman, who says being a police officer was his lifelong dream. He just never dreamed his beat would be a hip-hop rhythm, or that the whole world would seemingly be on patrol with him. Norman was introduced to a national audience in 2015 when rapper Killer Mike pointed to his “positive policing” as a good example to all. But Norman became a bona fide internet sensation in July when another hip-hop star, The Game, with his eldest son Harlem, created a GoFundMe page featuring Norman. The officer’s Instagram account, @TNorman23, vaulted past a million followers after the recent mass shootings of officers in Dallas and Louisiana, and a crush of media interviews took him off the streets for days and made him one of North Little Rock’s most visible celebrities. For Norman, 43, defying the racial tensions that have fed conflict between the police and the public has been as natural as showing love to his own big, diverse family. His mother, Modena Mills, has nine children, including Tommy and his fraternal twin Tammy, the two youngest. The family once squeezed into a five-bedroom home at 1204 West 49th Street in Levy, a home that looks more like a two-bedroom house from the street. But even a large family isn’t enough for Tommy; he has been “bringing people into the family,” as Mills says, since he was young. As a boy, Tommy dragged a lawnmower around the neighborhood, taking care of the lawns of the elderly. Sometimes he was paid, other times he was fed. Sometimes it was pro bono. Then he would give money to his mother to sponsor a child overseas. “He’d say, ‘Mama, could we go the store?’ ” Mills said, recalling Tommy’s one indulgence: posters for his room. “Michael Jordan. His room had posters, the ceiling, the works.” He’d keep enough money for one poster, and the rest went to Mills. Norman’s internet fame has been a mixed blessing for the North Little Rock Police Department, where parcels sent by well-wishers are stacked to the ceiling. These are gifts meant for specific people featured in his Instagram account and toys and goods for Norman to distribute on his beat. The week after the GoFundMe page for Norman’s community efforts went live, the department’s public relations department was repurposed to sort and distribute the deluge of packages and to handle interview requests. Officer Tommy Norman has 1.2 million followers on Instagram (where he can be seen dancing, joking and engaging with the community). Rappers and others have hailed him nationally as a model of modern, involved policing. Norman, who is white, patrols predominantly black neighborhoods. But to him, people are just people, and his manner and speech patterns reveal a deep lifelong connection with black culture. As the kind of guy who will respond “Sorry, got busy” if he takes 15 minutes to respond to a text, Norman makes his way through police headquarters with hugs and “I love yous.” At first, an observer is tempted to ask if he could possibly be for real. Then he talks, and his kind eyes, constant smile and relaxed voice provide an answer. Norman, who is divorced, has two grown children: Mitchell, 23, and Alyssa, 21. His girlfriend, Rosalynd Guiden, has a 3-year-old son, Riley Hamilton. Riley’s father is former Razorback football standout Cobi Hamilton, who is trying to make a career as an NFL wide receiver. Although Cobi is involved in Riley’s life, his football aspirations often keep him away from Arkansas. Norman, Guiden and Riley live together and consider themselves a family. Norman says his relationship with Riley is paramount. “We hit it off so well, and he calls himself Officer Riley,” Norman says. “He thinks my police car is his and he’s letting me drive it. Norman loves Guiden’s supportive attitude, her desire to know the man behind the badge, and not least her skillful way with soul food. “God is usin’ her hands,” Norman says in describing her cooking. Norman knows that the attention he receives as the nation’s top celebrity cop can put a strain on relationships. But since he exchanged numbers with Guiden at the Walgreens on McCain Boulevard two years ago, he believes he has found the person that he has been looking for. Norman’s police ambitions were born on trips to see his uncle, Don Wooten, who served in the Korean War and was an M.P. in the Army before becoming a civilian police officer. Wooten retired as the police chief of Hot Springs Village. Norman idolized him, and looked up to the officers who patrolled North Little Rock in his youth. 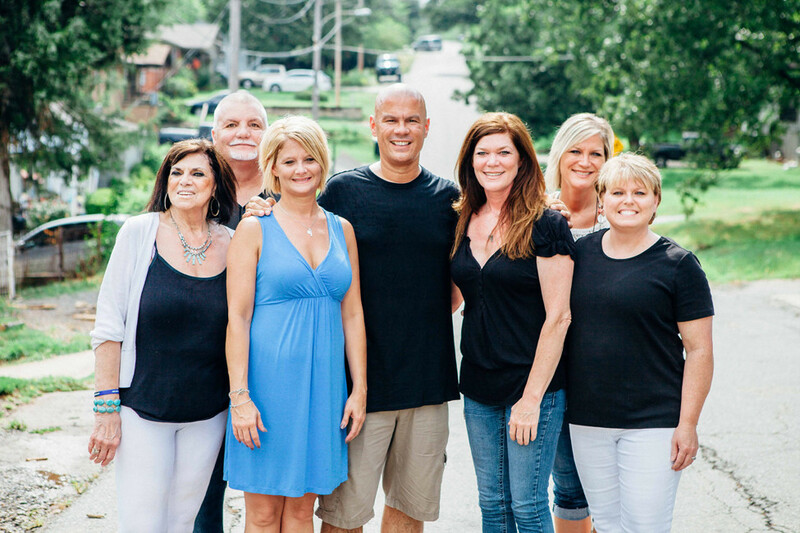 Norman with (from left) his mother, Modena Mills, brother Michael Mills, twin sister Tammy Shaw, sister Cindy Williams, sister Michelle Comford and sister Kathy Sarna. Growing up wasn’t easy for Tommy and Tammy, who have a different father from their other siblings. Their father, Dean Norman, wasn’t greatly involved. The older children’s father, Harold “Chuck” Mills, was often kept from the family by his service in the Army and Air Force. Eldest brother Michael Mills filled in as a father figure. He’s now an evangelical minister, preaching at various churches. Michael and his mother both credit a strong Christian home life for Norman’s kindness and drive for public service. Crosses hang in Mills’ North Little Rock apartment, alongside family photos and news clippings about Tommy. On a nearby bookshelf is a folded and framed American flag from Harold Mills’ funeral. Mills recently moved from a house to the apartment and now lives alone; the photos spill out everywhere. Mills says that hers is a “hugging and kissing family,” and every time Norman visits he hugs and kisses her before he leaves. When he forgets and gets out the door without a kiss, she says he’s back before he can even start the car. The man in those childhood posters, Michael Jordan, remains an idol to Norman, hence the 23 in @TNorman23. According to brother Michael, Norman ran around shooting hoops with his tongue out, trying to be like Mike. 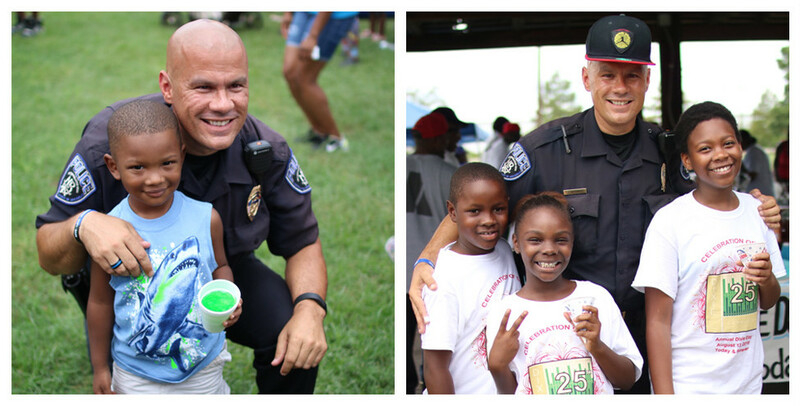 That sort of open likability has helped Norman cultivate a special bond with the kids on his patrol in North Little Rock. His route is close to his childhood home in Levy, and despite several promotion offers, Norman wants to stay out there, in his “backyard,” as he calls it. He says it took time for the people to realize he was a different breed of officer. They needed time to warm up, not to Norman the person, but to the lights, the car and the badge. But eventually, he won them over, just as he won over the people on his boyhood newspaper route. Just as he warmed the heart of a Little Brother through the Big Brothers and Big Sisters program before he had children of his own. Just as he has charmed the hearts of Guiden and Riley. Now the community of North Little Rock is his extended family.